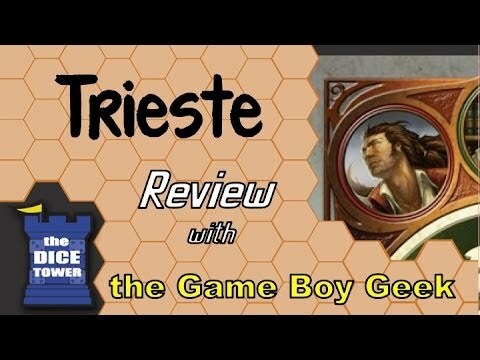 Trieste is a card game where three players take on the roles of Thief, Merchant, or City Watch respectively. Each role has its own unique deck and victory conditions. Turns are played out simultaneously, with each player selecting an action without knowing those chosen by opponents. The City Watch player levies taxes on the Merchant, and patrols the streets for the Thief, looking to fill the city's jail with ne'er-do-wells. Players in the role of the Merchant are out to cut deals and line their coffers, in a quest for untold riches. As the Thief, that player is attempting to pilfer coins from the Merchant, while earning infamy and the respect of the secretive Foxtail Gang.